PSI is pleased to convene the first PSI Global Local and Regional Government Workers’ Network Meeting that will be held on 19 September 2016 in Brussels, Belgium. This will be followed by the EPSU Local and Regional Government Standing Committee on 20 September 2016, enabling PSI affiliates from other regions to take part as observers. Both events will take place in Room B at the International Trade Union House (ITUH), 5, Boulevard du Roi Albert II, 1210 Brussels, Belgium from 8:30 to 18:00. 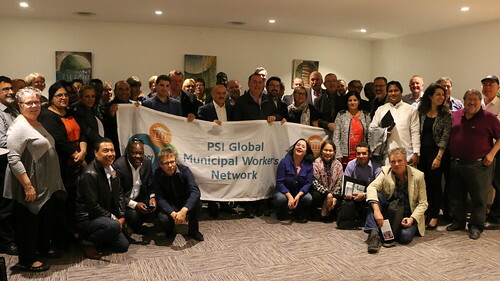 Launch the PSI Global Local and Regional Government (Municipal) Workers’ Network and establish an ongoing global communication and consultation network for the sector. PSI LRG affiliated unions are invited to fill out this online survey in a view to inform the global conference and the Global PSI Municipal Network on their wins, initiatives, priorities and good practices in the Local and Regional Government.